So begins this biography of a great nineteenth-century American poet. From his childhood in poverty through his struggles to find acceptance as a writer to his immense fame and untimely death, Dunbar's story is one of triumph and tragedy. But his much-beloved poetry, written in both Standard English and in dialect, remains a legacy that continues to delight readers today. 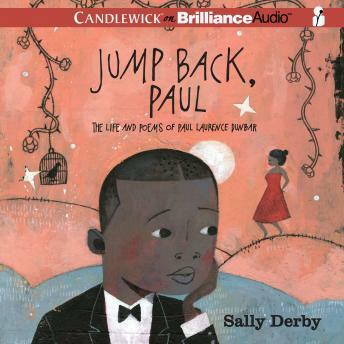 Narrating in a voice overflowing with admiration and respect, Sally Derby introduces Paul Laurence Dunbar's life and poetry to readers. With the poet's own words illuminating the phases of his life, Jump Back, Paul allows listeners young and old to experience for themselves the breadth and depth of Dunbar's work-and to be inspired by his life and poems.